3 1/12". The multicolored beaded necklace is 10" from its sterling clasp to where it attaches to the birds. 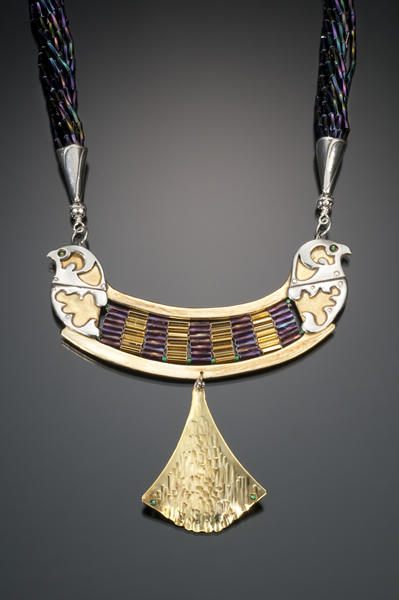 Description: Egyptian jewelry was not just made for decorative purposes. 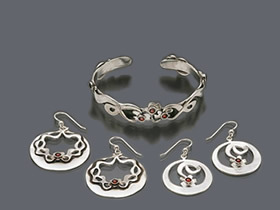 It contained symbols that would provide the wearer with protection and prosperity. 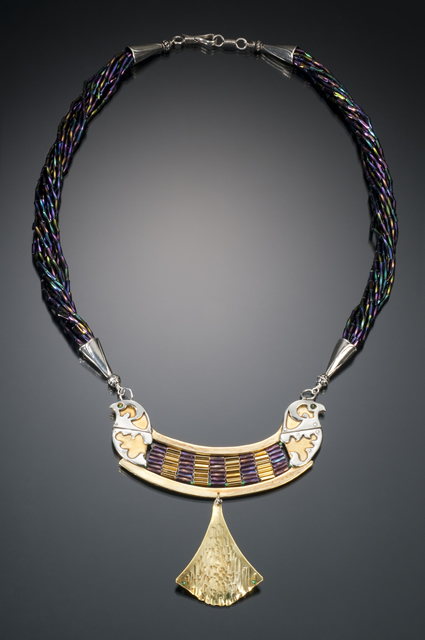 The wearer of this double falcon necklace will be doubly blessed! Made of brass, sterling silver, glass beads.